When talking about playing music from their small laptop, people have visions of a tinny sound emanating from two tiny speakers, amounting to a very low quality audio experience. In some ways you would be correct: laptops aren’t made to sound good. Even brands geared towards the music industry have soundcards costing no more than a few pounds to make. 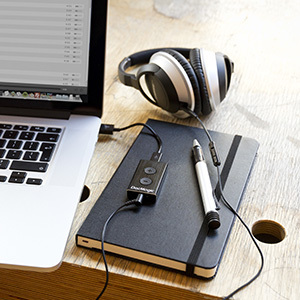 The quickest, easiest way to improve quality is to use your laptop’s headphone socket. Plug in a 3.5mm-jack-to-phono and connect the other end into your hi-fi. This improves things slightly, although the soundcard in the laptop probably wouldn’t be doing your music any justice. This is where a headphone/laptop DAC comes in to the story. Its sole purpose is to disengage that cheap soundcard in your laptop and become the system’s main soundcard itself. A dedicated DAC (or Digital to Analogue Converter) is built specifically for sound. Decoding that all important digital audio information is what it does well. Unlike the laptop itself, it’s not made to do homework, display pictures of your holiday or play DOOM; it’s designed to take the audio from your laptop and deliver it to your ears with much better sound quality than those built-in soundcards could ever provide. 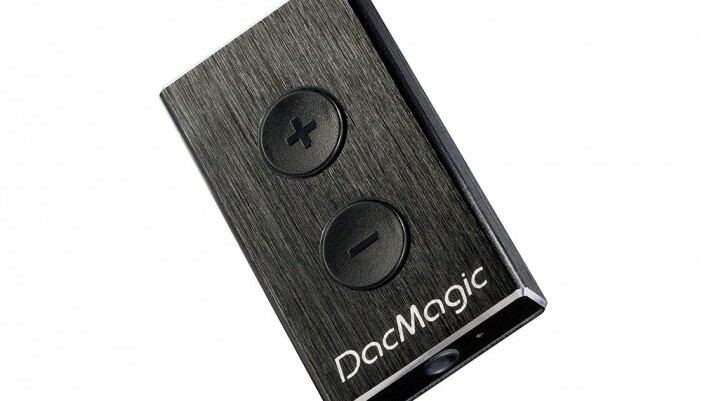 The DACs in question plug into the USB, which means they are usually self-powered and have the standard 3.5mm connector for headphones, or a cable to your hi-fi. A feature sometimes found is a dedicated volume control. Models like the Cambridge Audio XS also feature a gold-plated headphone socket for a better electrical connection to whatever is being plugged in. A green light lights up on the front of the unit as soon as an audio source is detected. After extensive listening tests (using a Macbook Pro as a source), the unit did remarkably well against the internal soundcard. In fact, it obliterated it; the sound was more expansive, the dynamics were very taught, punchy. Not surprising is Cambridge Audio’s claim that it delivers ten times the power output of an average laptop soundcard. It gave the track I listened to a new lease of life. A very well rounded effect; sounding very natural with a lot more treble detail present. Cymbals sounded much better and more realistic. Vocals were well placed and sounded so much more lifelike. The Cambridge Audio DAC XSpowers headphones remarkably well, maintaining total sound authority and control.